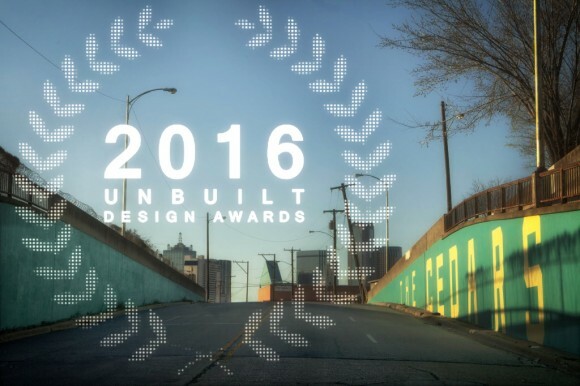 Building on the success of the 2015 Unbuilt Design Awards program, we intend to further architectural dialogue in our community through an evening of discussion and celebration of ideas. Please join us for a pop-up gallery show and awards party on April 28 at 816 Montgomery in the Cedars neighborhood. All of the projects submitted for this year's awards program will be on exhibition, and a presentation by the jurors as well as the announcement of the winning entries will foster discussion and the celebration of new ideas. Come browse the gallery while mingling with the jurors and enjoying hors d’oeuvres and music. The Press Award and People’s Choice Award will also be presented at the end of the night. Join us for a night of engaging discussion and celebration! Member tickets are $15 per person; general admission is $20 per person. Each Unbuilt Design Awards entry includes 1 party registration. Jacob Brillhart has built his career as an architect, painter and professor of architecture. He is the founder of Brillhart Architecture – a small office formed around the interchange of research, drawing and design, which has won numerous awards for design innovation. Brillhart complements his practice as an Assistant Professor at the University of Miami School of Architecture. He teaches design, drawing, and visual media and is an integral part of the Rome program. A Gabriel Prize finalist in 2006 and 2007 and a finalist for the Rome Prize in Architecture in 2010, Brillhart has also served as the Favrot Visiting Assistant Professor at Tulane University. In 2015, he published Voyage Le Corbusier: Drawing on the Road, a compendium of 175 travel drawings and watercolors done by Corbusier between 1907‐1911 (published by W.W. Norton, with foreword by Jean Louis Cohen). Brillhart Architecture’s honors include 2014 House of Year (Architect’s Newspaper); local and state AIA awards and international competition winnings. In 2015, the firm was selected as one of five finalists for MoMA PS1’s Young Architects Program. Work has been featured in The New York Times, Architectural Record, Metropolis, Dwell, The Wall Street Journal, Architect, and Architectural Review, among other publications. Adam Marcus, AIA is an architect and educator whose work has been recognized, published, and exhibited internationally. Adam directs Variable Projects, an award-winning design and research studio in Oakland, California that operates at the intersection of architecture, computation, and fabrication. He is also a partner in Futures North, a public art collaborative dedicated to exploring the aesthetics of data. A graduate of Brown University and Columbia University’s Graduate School of Architecture, Planning and Preservation, Adam previously practiced with Marble Fairbanks in New York City, where he served as project architect for a number of award-winning educational and public projects. Adam is an Assistant Professor of Architecture at California College of the Arts, where he coordinates the Integrated Building Design curriculum, teaches design studios in computational design and digital fabrication, and collaborates with CCA's Digital Craft Lab. He has previously taught at the undergraduate Department of Architecture at Barnard & Columbia Colleges, the University of Minnesota, and the Architectural Association's Visiting School Los Angeles. Adam currently serves on the Board of Directors of the Association for Computer-Aided Design in Architecture (ACADIA). Mary-Ann Ray is a Principal of Studio Works Architects in Los Angeles and a Co-Founder and Co-Director of the experimental laboratory for urban and rural research and design BASE Beijing. Ms. Ray is the Taubman Centennial Professor of Practice at the University of Michigan’s Taubman College of Architecture and Urban Planning. Studio Works is an award winning design firm whose design work and research have been widely published. Principals Mary-Ann Ray and her partner Robert Mangurian are architects, authors, and designers, and were awarded the Chrysler Design Award for Excellence and Innovation in an ongoing body of work in a design field and the Stirling Prize for the Memorial Lecture on the City by the Canadian Centre for Architecture and the London School of Economics. Ray is also a recipient of the Rome Prize from the American Academy in Rome. Among her published books are Pamphlet Architecture No. 20 Partly Underground Rooms and Buildings for Water, Ice and Midgets, Wrapper, and Caochangdi: Beijing Inside Out.